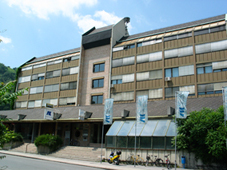 The company RC IRC Celje successfully combines business process management with pioneer information technology solutions since the seventies of the last century. The company RC IRC Celje combines a research and development group of experts with knowledge and good understanding of the Slovenian business environment, legislation and standards, as well as components of business systems, which enable us to offer you different bundles of application solutions. The company itself could be described as a creative organism devoted to development, implementation and maintenance of information products, that enable various types of business systems to make a leap in the area of excellence, quality nad reliability.